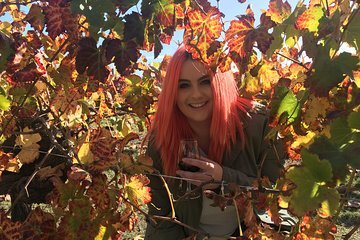 Head out of Perth to the Swan Valley wine region for a day among the vineyards. Traveling with a guide who tells you stories and facts about the area, you'll visit cellar doors (aka tasting rooms) for wine tastings, plus enjoy lunch and local items like cheese and chocolate. Drop off Tourist Coach Stand 5pm on the corner of William & Wellington Streets (the train station side of William St lights). A great day was had with Claude from Out and About Wine Tours. Claude made everyone welcome and we visited small and large wineries as well as a micro brewery all within easy reach of The Perth CBD. I would definitely recommend this tour if you are visiting Perth!.